Grandfathered rates, looking a gift horse in the mouth. A few days ago Linden Lab announced that they were going to offer land owners the chance to buy the ‘grandfathered rate’, pay $600 once to get a permanent $100 discount on your tier. Now this offer has received both positive as negative criticism, as with everything LL says or does. It is too complicated to go into details but some say that you can’t lose because after 6 months this investment starts paying for itself, while others say it is a desperate attempt of LL to get some quick cash out of us before everyone leaves for Sansar or another virtual world and that by the time you earn this investment back, SL will have emptied. Some people also say that this once more damages the business of some land lords, which is of course true as they need to lower their rates because more people will get grandfathered regions and will thus offer land for lower rent. Then again, I always assumed that as a landlord people stay with you not just because your rent is low but also because your sims are nice, the community is wonderful and you are just a wonderful landlord! Anyway, for me personally, this is a good deal. I am pretty sure that 1920s Berlin is still here in a year time even if Project Sansar has gone public and allows me to build 1920s Berlin there with all the options I now have in SL. Something which will not happen that soon. So all I have to do is spend $600 and voila, my tier goes down. It will not make me rich, with VAT and all the time I spend working on my sim, I’d still make more flipping burgers, but every penny counts. But $600 is a lot of money. So although I am an old fashioned lady who is petrified of being considered rude, I am going against etiquette and look this gift horse in the mouth. I can see two ways to make this offer even better and even more attractive for a lot of people. 1.Give every estate or group or community, that has managed to survive in Second Life for longer than 5 years the option to grandfather their regions for free or much cheaper than $600. Making a sim work and keeping it going for such a long time is quite an achievement. Places who manage this clearly bring new people to SL or keep users from leaving, they are good (free) publicity for LL to promote SL with, in short; they are doing something right and this directly or indirectly is good for Second Life. Allowing them to grandfather their community land will give them a huge boost. At the end of the month more money is left behind for those who run the place and/or more money can be put back into it. Some sims that are not run just for profit sometimes find it hard to get tier together every month and this grandfathered status will take a load of their backs. In short; it will help and reward sims that are doing something right. And yes, I am totally thinking about my own sims and my own pockets as well. Lower tier will mean I can spend even more time running Berlin but it will also make it easier to pay for my next project; 1940s London. And what will this do to relatively new sims? They know that if they manage to hold on one more year, or 2 or 3, their tier will go down. Of course some complicated decisions have to be made, after all a sim or group or community can be doing very well for over 6 years but due to landlord trouble or other reasons be forced to abandon one region and start over again in another region. 2.As I mentioned before, $600 is a lot of money to most people. And even if you have lots of dosh and you have a nice Second Life related income, it still is quite an investment to spend if you own more than a few regions. And if you make money in SL, chances are you own more than one region. One of the reasons people are deciding not to grandfather right now is simply because they do not have that money available to them at this moment. So I’d like to suggest allowing us to pay in instalments. You can sign up for the grandfathered deal now but in stead of paying LL $600 on the spot, you get your lowered tier right away but… LL adds $100 a month to your tier as payment for the grandfathered status. Between now and 6 months LL has my $600 and I get my lower tier. So the end result is the same except that more people will decide to take the deal! When people have to pay the entire amount at once, they either decide not take the deal or they save up money for the next couple of months and pay when they have it. If LL implements my suggestion I think more people will accept the deal, more sims end up with lower grandfathered tier, more communities survive longer, the economy gets a boost, everybody happy. And yes, once more I am mostly just looking at my situation. I will have to save $100 a month for half a year before I can afford this deal. I’d rather just keep paying the regular high tier and then get lower tier in 6 months. Besides, we need a little break because we have to go buy new computers and VR headsets soon. Maxwell Graf contacted me about this earlier and had the same sort of idea, so I’m sharing his post below. The ability to “opt-in” to the new tier rates program is a no-brainer, and a welcome change. Why would I say no to lowering my monthly costs, especially considering the state of both the SL and RL economies? It has been talked about since I have been in SL. It is a great incentive and a smart move by LL. I would have done it already, if not for the unfortunate lack of 600$ in expendable income, even if that would benefit my business in the long run. This is a problem which needs to be addressed. What I am asking for is a way to say yes I want to opt-in to the new program, LL start taking 100$ from my 295$ a month tier for six months, and then lower my rate in six months to the grandfathered tier rate. Without this option, I have no way to do this. Without this option, the benefit to me as a customer who needs a break does not happen. If I made enough in SL to have an extra six hundred dollars laying around I would most likely not worry about a 100$ a month break on my tier. A lot of us are fighting to stay in SL and keep going but this is similar in some ways to a tax break for the rich. When you offer a discount to only those who can afford it, what are you saying to those who cant is not only in direct opposition to your long term goal or ours but has a negative impact on your customer relations and we both lose the very benefits you are trying to provide. It goes a solid half-way to appreciating the 10 years of my reliable support of your business. Click here to visit Maxwell Graf’s website. Recently Linden Lab changed the Terms of Service (ToS), this was long overdue. About a year ago they changed them as well and this caused quite a storm, the legal language made it seem like LL would own everything we made in Second Life and everything we uploaded to SL, even if we didn’t own that texture or item to begin with. I am the first to admit that I really don’t understand all that legal talk and perhaps I am naive, but I think that Linden Lab does not intent to go and steal our stuff and I do think that many people responded in a way that was a bit over the top. 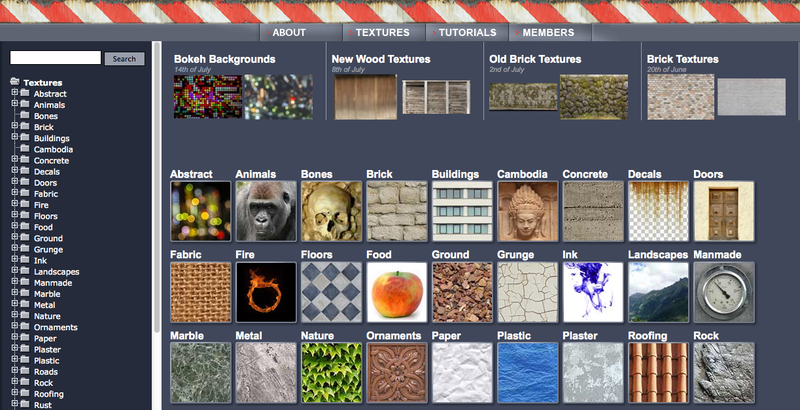 Nevertheless, the previous ToS was worrying and eventually also affected me because one of my favourite texture sites where I found many images I used to make things with in Second Life, now would no longer allow us to do so in Second Life. I know that there are countless other texture sources on the internet but, without wanting to advertise them too much, CGtextures is just one of the best and biggest, in my humble opinion. When I was working on something, I could easily find the texture I wanted on their site and now I have to spend a lot longer searching all over the internet before I find something I like and can use. So although I am a creator who should probably be worried about my stuff beloning to LL I am more worried about how my creativity is stifled by all the extra work I have to do. When LL announced that they had changed the ToS, I was at first excited. The new CEO Ebbe Altberg has shown to care about what we users think, he is atypically communicative and willing to listen to and answer questions. And I think that he learned about the ToS issues and told the Legal department to look into it. Unfortunately it seems that the actual issues have not been solved, there still is a lot of unclarity and debates are going on all over the forums. And to be honest, I don’t understand legal language well enough to say anything useful on the matter. Nevertheless I decided to write an email to the folks at CGtextures and ask their opinion on the recent ToS change. With their permission, I share their response here and I hope that Ebbe Altberg and the other Lindens at Linden Lab read it and respond, here on the blog or directly to CGtextures. Because I fear that the ToS could still use some improvements and I think that CGtextures may have a few good suggestions. .. and otherwise exploit in any manner whatsoever, all or any portion of your User Content (and derivative works thereof), for any purpose whatsoever in all formats, on or through any media, software, formula, or medium now known or hereafter developed, and with any technology or devices now known or hereafter developed, and to advertise, market, and promote the same. .. Which permits Linden Lab to use the uploaded Content for anything they like (“exploit in any matter… for any purpose whatsoever”). If it is not their intent to claim unlimited and irrevocable resale rights on uploaded Content, then they simply should not claim these rights in their Terms of Service. Historical practice or intent is meaningless if this would ever come to a lawsuit. They are basically saying “we know our contract sounds exploitative, but you trust us right?”. If there is one thing that the Linden Lab ToS update in august 2013 showed, it’s that this revision was done with absolutely no consideration for their users. They updated their ToS so it had maximum benefits for the company, without giving any thought about the content creators. Whether this was because the revision was done by a lawyer who is completely out of touch with the users, bad intentions or plain laziness doesn’t matter. It made clear that Linden doesn’t care about it’s content creators. For us, this small update to the Terms of Service is not enough to regain the trust which was lost. So we will not allow the use of our images in Second Life, but we’ll keep an eye on things to see how it develops. If you find it relevant feel free to post our response on your blog. If you have any questions please let me know. A year ago my sim (the 1920s Berlin Project) took part in Second Life’s 8th birthday celebrations. It was a lot of fun, chaotic but worth it. We rebuild a tiny 1920s Berlin street in our plot, including a cinema, common working class apartment, a gallery and of course our world famous bar ‘Der Keller’. Every day for about a week we moved our daily ‘happy hour’ to this replica bar and had lots of fun meeting new people who would not normally visit our sim because of the theme, the strict dress code or perhaps because they don’t like roleplay. SL8 gave them a chance to get a little taste of a sim they never heard about or never visited before, it also gave them an idea of how we use SL for something they might not know about. This year SL is asking us to have the celebrations in our own sims, they will not organise something big and fun like the previous years. People don’t like the idea and many won’t be interested in doing this at all. Some may not be able to. I know that we can’t just find a spot in our sim for something like this, we don’t have the room or prims. Right now the only thing I can think of is organising an ‘open day’ to celebrate SL9. Not sure how much fun that would be. Either way, I will not be looking forward to it as much as SL8, one of the few, if not the only gridwide event our sim took part in.